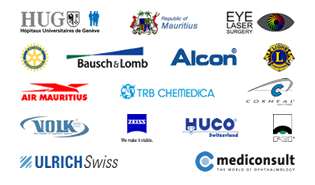 The Eye Clinic at the Seychelles Hospital has received advanced equipment for eye surgery. The equipment is worth $35’000. In a short ceremony on Friday 22 September, 2017, Professor Cyrus Tabatabay, President of the Teaching Eye Surgery (TES) Foundation, officially handed over equipment to the eye Clinic of the health Care Agency at the Seychelles Hospital. The ceremony was held in presence Jean-Paul Adam, Minister of Health, Dr. Danny Louange, Chief ExecutiveOfficer of Health Care Agency, Dr. Roland Barbe, the Ophtalmologist for the eye Clinic, and other health Officials. The hi-tech equipment which is already in use at the hospital will help to perform eye surgeries for cataract with smaller incisions and in less time. In addition to that recovery will be faster .The equipment includes a state of the art microscope for eye surgery, eye loops and special scalpels for surgery amoung others. Such technological equipment is said to be found in very few countries in the Indian Ocean.